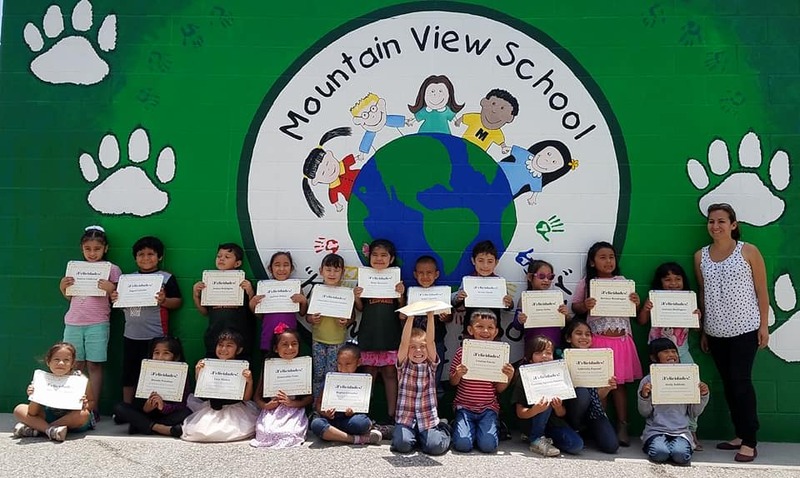 Azusa Unified’s Mountain View Elementary School has been selected to join No Excuses University, a national network of schools that focuses on college readiness. The school sets aside weekly collaboration time for teachers to find creative ways to motivate students about college. 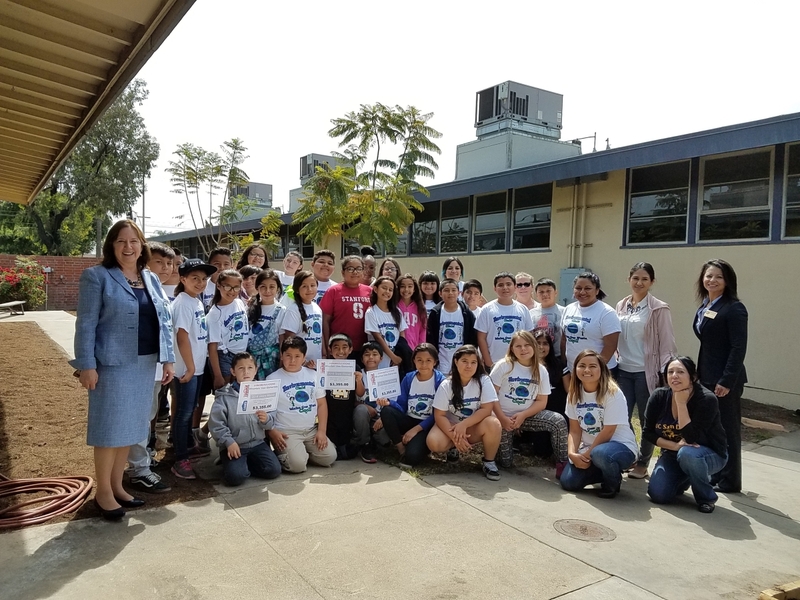 Paramount and Mountain View elementary schools dedicated their new drought-tolerant gardens on April 27, celebrating completion of the Paramount and Mountain View Landscaping Water Conservation Project. The project was made possible by a $70,000 grant provided by the San Gabriel Valley Municipal Water District, part of a campaign to increase awareness of water conservation efforts. 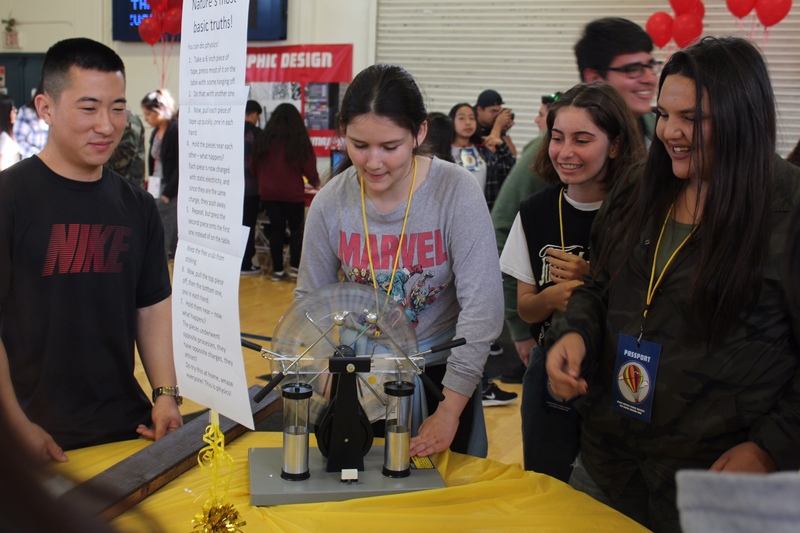 Azusa Unified School District hosted the 8th Grade Majors Fair, a collaborative effort between Azusa Pacific University, Cal Poly Pomona and Citrus College on March 17, for a day of academic inspiration and exploration. Among dozens of booths were live demonstrations and interactive activities highlighting subject matters in science, math and technology. The fair provided more than 300 middle schools students with information about specific college majors and encouraged them to increase their knowledge of and interest in higher education. Azusa Unified operates 12 elementary, one K-8 school, three intermediate and three high schools, as well as an Adult School. The district provides a student-centered program that emphasizes a standards-based curriculum, enrichment classes and a commitment to educational technology. Azusa Unified will kick off the 2015-16 school year on Tuesday, Aug. 18 with expanded arts and STEM programs. Center Middle School students will return to a new science lab as the District continues its work to bolster career pathways that begin in middle school and continue through high school. In addition, Azusa Unified is introducing a new “Meet the Masters” art program in which students study the works of legendary artists such as Vincent Van Gogh and Pablo Picasso. Azusa Unified is constructing four new classrooms at Ellington School this summer to accommodate a new eighth-grade class as part of the final phase of the school’s expansion from an elementary school to a K-8 campus. The District this summer is also installing a new roof at Center Middle School. The $2.4 million in projects, expected to be substantially completed ahead of students’ first day of school on Aug. 18, are the first to be funded under the District’s $92 million Measure K facilities bond, passed by local voters in November 2014. The approximately $1.6 million project at Ellington features the addition of restrooms and four new pre-manufactured classrooms, one of which will be used as a multi-purpose room for activities such as band or other extra-curricular activities for seventh- and eighth-graders. 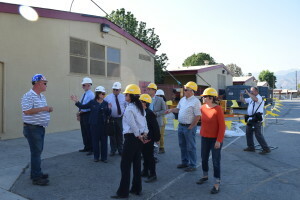 At Center Middle School, about $825,000 in Measure K dollars will fund the replacement of the school’s roof, one of the District’s highest facility priorities. Photos are available. Follow-up Story: Azusa Unified School District in 2015-16 will strengthen and expand medical and engineering career pathways, provide dual enrollment in college, improve technology capabilities and continue to develop an International Baccalaureate program as part of its 2015-18 Local Control and Accountability Plan (LCAP). The plan, a requirement of the state school funding system, identifies goals for each year, strategies to achieve those goals and funding sources. Some programs target all students, while others focus on economically disadvantaged students, foster children and English learners. The Board of Education adopted the LCAP and its 2015-16 budget on June 23. The 2015-18 LCAP also will provide summer school enrichment for secondary students, expand visual and performing arts, bolster support for SAT/ACT exams, boost programs for English learners and foster youths and expand physical education. Follow-up Story: More than 40 Magnolia Elementary School fifth-graders excitedly watched on June 3 as their school work, pictures and letters were buried in a time capsule in a new planter on campus, marked by a plaque bearing their names and the date 2035, when the school will reveal the contents to a new class of students. The ceremony, attended by the entire school, served to commemorate a recently completed sidewalk extension project that will increase safety for the campus’ students, staff and visitors. Photos are available. The Azusa Unified School District will offer free meals this summer to youths ages 18 and under as part of the federally funded Summer Food Service program that ensures children have access to healthy meals, even when school is not in session. Children do not have to be Azusa Unified students to receive free meals. Lunches will be served from 11:30 a.m. to 12:15 p.m. Mondays through Fridays from June 9 to July 14 at select sites throughout Azusa. For a list of locations, please visit www.azusa.org. Azusa Unified School District will hold commencement exercises for 59 Sierra High School students at 4:30 p.m. Tuesday, June 2 at the Felix Event Center at Azusa Pacific University, 701 E. Foothill Blvd, Azusa. At the same location on Thursday, June 4, 282 Gladstone graduates and 334 Azusa High students will hold their ceremonies at 2:30 and 4 p.m., respectively. Gladstone graduates – who are headed to such schools as Cal Arts, UCLA, UC Berkeley, UC Irvine and Cal Poly Pomona – include Shirley Carrillo, who became visually impaired at the age of 13, but adjusted to the rigors of high school with the aid of AUSD’s Special Education programs. Carrillo received a $1,000 Julie Inman Courage Scholarship and will attend Cal State Los Angeles. Azusa High graduates – who have committed to such colleges as Notre Dame, Occidental, Harvey Mudd, as well as 12 Cal State and four UC campuses – include Sonia Moreno, who overcame significant family hardship with the help of Azusa High’s guidance counselors and received a $22,000 scholarship to attend Carleton College. Azusa Unified is launching a program this summer to allow Gladstone High School juniors and seniors to earn a year of transferable college credits before they graduate high school. Available through a partnership with Citrus College, the Early College Program is offering the first group of 32 students the opportunity to take courses that not only count toward a college degree, but also meet high school graduation requirements. The classes are taught by Citrus teachers on the Gladstone campus during the school day, with students taking two classes a semester and in the summer. The program kicked off June 8 at Gladstone. Gladstone High School junior Savannah Rudder eagerly volunteered as the first “patient” for an electrocardiogram conducted as hands-on coursework in her Azusa Unified school’s fledgling medical academy. A teacher quickly realized the results might show an issue with Rudder’s heart’s electrical activity and advised her to see a doctor. For the last month, the tri-school athlete – who hopes to join the Air Force – has been wearing a heart monitor as a cardiologist determines whether she has a heart condition. The medical academy, introduced this year, allows students to earn medical certificates upon graduation. Follow-up Story: The Azusa Unified Board of Education has named Hodge Elementary first-grade teacher Kari Rico as the District’s Teacher of the Year. Rico began her career as a contract teacher in Azusa in 1990 while completing her credential studies at Cal Poly Pomona. She has served at both Valleydale and Hodge and has been recognized as an inspirational, dynamic educator who promotes a rigorous learning environment by continuously reinventing teaching methods to enhance student achievement. In September, the Los Angeles County Office of Education will honor Teachers of the Year from throughout the county and select 16 finalists to go on to the state competition. Photo available.